Co-founded with Anthony Man, the Feel Good Project was not just another charity project. It was to inspire the general public with artist crossover, interacting art activity and live music from over 50 artists around the world. With the inspirational presentation, we raised the awareness of helping the global blindness and encouraged donation to Orbis Flying Eye Hospital. 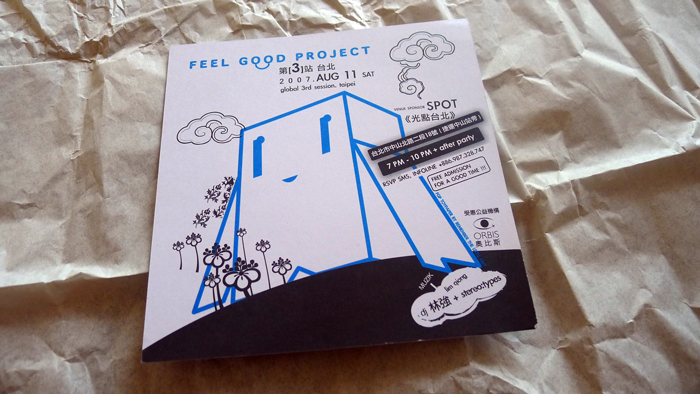 The first two Feel Good Project events were hosted at FINDS at Lan Kwai Fong, Hong Kong, in late summer 2006. 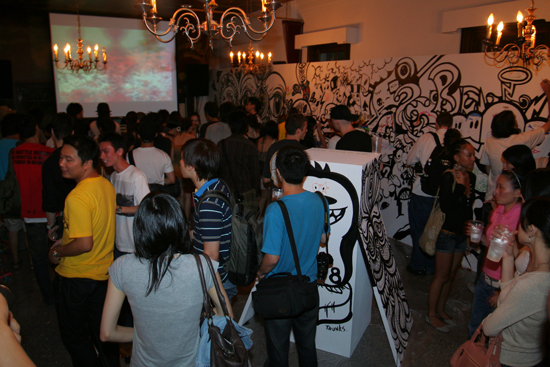 The last Feel Good Project was hosted at the famous film house SPOT Taipei in summer 2007 followed with a one-month exhibition in Singapore. One day, Feel Good Project will be back. Feel Good Project was first held in summer 2006 with “visual refreshment” to raise fund for ORBIS. 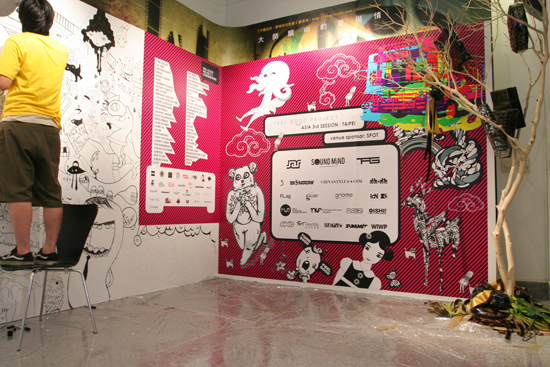 SESSION [ ONE ] was the first ever Hong Kong experience of “COLOUR ME, HK!” proudly endorsed by the global-recognized Pictoplasma Germany. 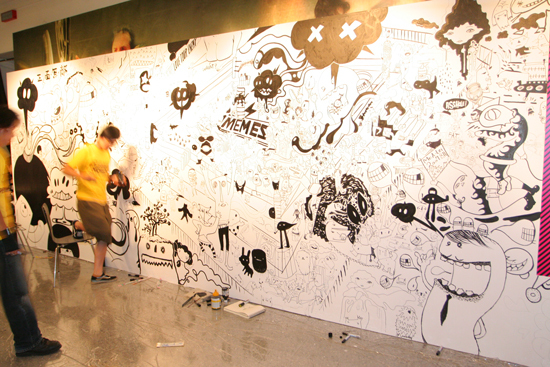 This global third session of “COLOUR ME”—“COLOUR ME, HK!” was all about the continuation of “COLOUR ME, PICTOPLASMA”’s concept to Asia of providing a whole white room for selected artists to create a full room of black and white illustrations, scribbles and character madness lively and collaboratively. 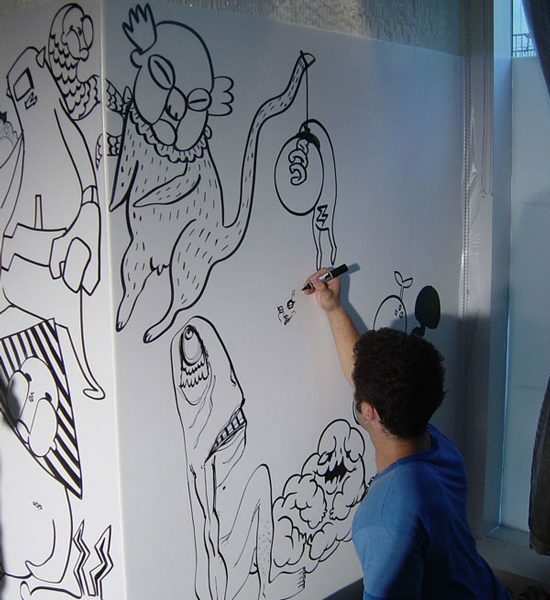 Attendees witnessed live character writing from wall to wall and could lovingly color in the characters, turning the space into an evolving colouring and activity room. 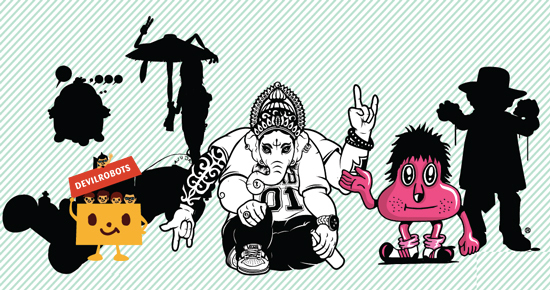 Hong Kong artists who had contributed in “COLOUR ME, Hong Kong!” including Alex Lau, Cubemen, ESP Visuals, Graphic Airlines, HKR, Hobsek, Jay, Max, Zono and 4Getboutit. Plus we had a totally new presentation with paints and brushes of the energy drink RED BULL through “RED BULL MADE OF ART”. The evening was also with good music. Underground rising star The Darlings the band played us some indie pop to keep you hype. And, our favourite deejay Simon Pang gave a quick warm up to the crowds with his rock, breaks and some hip hop. Close to 800 people packed the venue & they got so crazily and busy to color the walls. It was a truly unforgettable time. 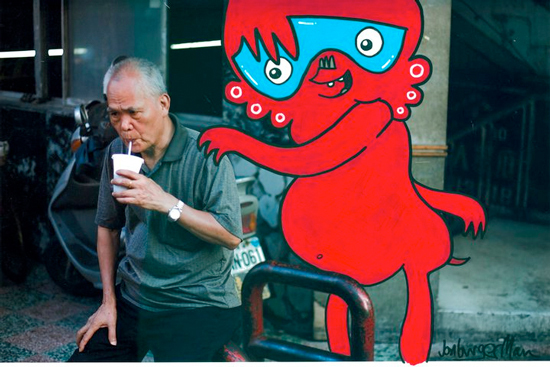 Then the colored walls were sent to idN Gallery in Wanchai for a 2-week exhibition and taken at last by art appreciators. SESSION [ TWO ] was a good mixture of visual refreshment. “Feel Good World-Channel” screening of the finest animation/video collection from 8 of the finest global collectives/artists including DevilRobots(JP), Freestyle Collective(US), HelloHikimori(FR), Jeremyville(AU), Jon Burgerman(UK), Momorobo(SG) and Nanospore)US). We are proud to have presented their works and we wish this part can keep growing with our theme“feel good” in the coming Taipei session. & We had “Fingercroxx Stamp Station” which was a workshop where you could freely choose from the feel good characters from Ian Stevenson(UK) & Phlash(UK) plus more choices and stamp them on the tees & trucker hats wherever you want. make yourself an identity. thru that. We also had our “MUZIK TWO” with live hip hop on stage DIMEYEZ and hip hop & rnb set by dj Rayl to heat the dance floor. Newly added at the last minute, we had an exhibition of 30 pieces of Hierophat “Drop” toy customisation by Hong Kong artists Alex Lau, Cubeman, ESP Visuals, Graphicairlines, Retron + more. We donated through the profit made from the special “Feel Good” drinks + “Fingercroxx Stamp Station. Close to 700 people packed the session [two]. It was another wonderful time. 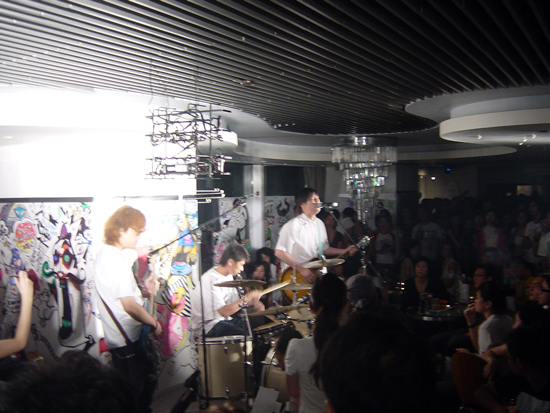 The 3rd session Feel Good Project was held in summer 2007 with “visual refreshment” to raise fund for ORBIS. Found by J.A.R & TAG, FEEL GOOD PROJECT is a non-profit global project aiming to raise fund for ORBIS the charity, which has been helping people with unnecessary blindness to walk out from the darkness. The project session 3 in Taipei joined in SOUNDMIND as co-organiser to continue the mission of giving back to the society with our capabilities while having good time. 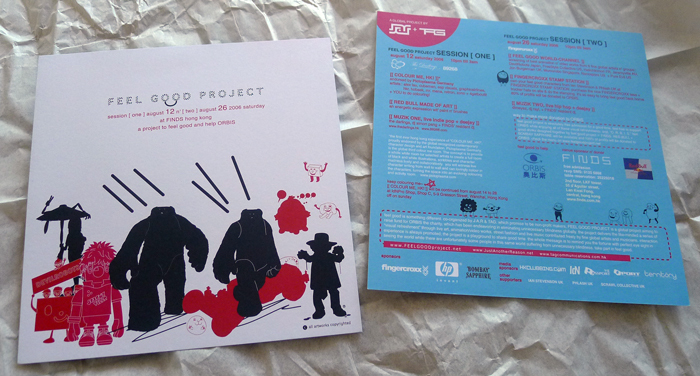 The project delivered the general public and the like-minded a series of “visual refreshment” through live art, animation/video works, and live music contributed freely by fine global artists and musicians. Interaction experience is always promoted; the project is a playground to share fun time and discover your hidden instinct such as creativity. The whole message is to remind the attendees their fortune to embrace a perfect sight in seeing the world while there are unfortunately still people suffering from unnecessary blindness. Absolutely with no door admission for a good time, attendees can freely make donation to ORBIS through buying FEEL GOOD drinks and “twist” limited prints designed by 27 international artists. 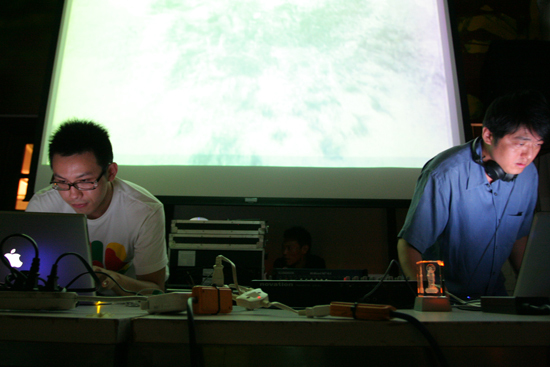 The famous Taiwan dj Lim Qiong and Stereo:types will give the wicked electro set & hip hop to heat the night. FEEL GOOD to help ORBIS and get together for looping the happiness. Artists showed us love. There was one of those very special that we want to share it here again. Feel Good Project proudly received the exclusive design of feel good toypapers: love + music + food by remember the little guy of toypaper UK. Rediscover your very original creative instinct again — handmake your toypapers. You can customize this little creature as well. Email us the photo of your toypaper. enjoy!